Hadleigh Castle formed the fantastic backdrop to a very successful Olympic Mountain Biking event in Hadleigh Park in 2012. These montages were created as a result of a photography workshop for young people, part of the People’s Record of Hadleigh, February 2011. 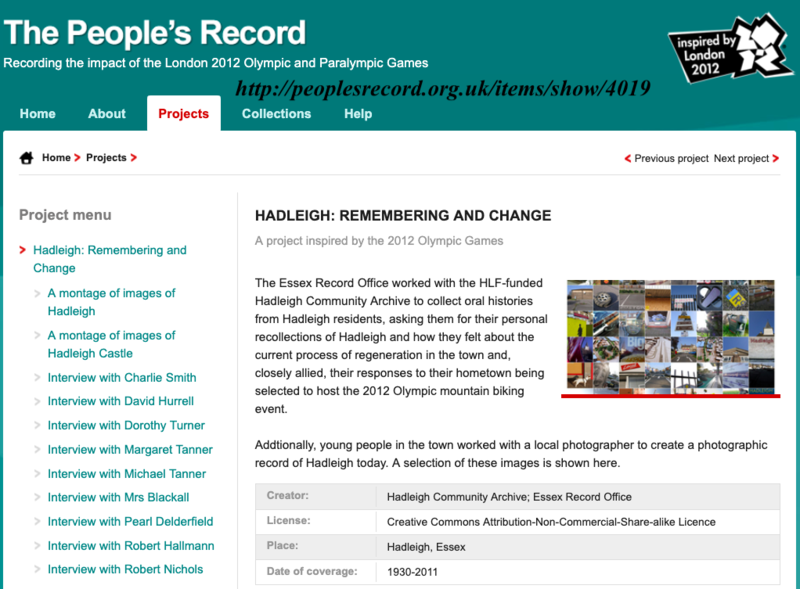 Debbie Peers of Essex Record Office primed the HLF-funded Hadleigh and Thundersley Community Archive to collect oral histories from Hadleigh residents. 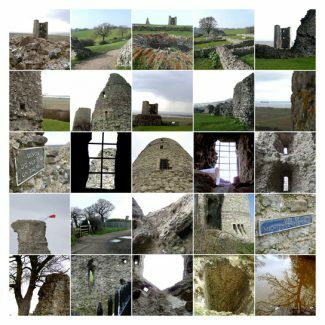 The residents were encouraged to reflect on their personal recollections of Hadleigh, often mentioning features from unique viewpoints. In 2011 and 2012, there was still a proposed process of regeneration in Hadleigh. 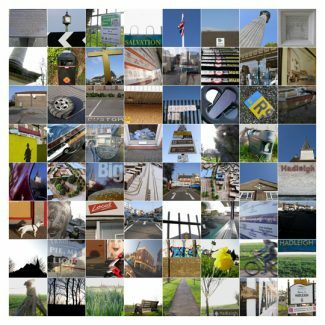 There had been investigations and plans to regenerate the urban environments of both Hadleigh and Canvey Island. 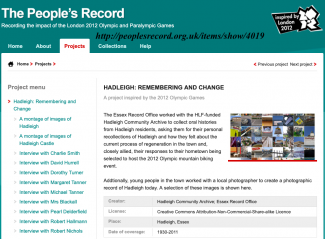 We heard interviewee recollections as of 2011 and 2012 about Hadleigh and closely allied responses to their hometown being selected to host the 2012 Olympic mountain biking event. This project was funded by the MLA; the Museums, Libraries and Archives Council. Until May 2012 it was a registered charity in England to promote improvement and innovation in the area of museums, libraries and archives. The last chairman was Sir Andrew Motion. It was abolished by Secretary Of State Jeremy Hunt to reduce the number of public bodies funded by government. Functions relating to museums and libraries were transferred on 1 October 2011 to Arts Council England, those relating to archives to The National Archives. The Olympic legacy was crystallised in Hadleigh by the construction of The Hub, on the site of Sayers Farm. The Hub has become a notable success for walking, cycling and many other family-friendly activities, with the support of The Salvation Army.